One of the biggest fears for breastfeeding moms is supply issues. There is always the worry that you will not make enough milk to feed your little one. But did you know that there are a few foods that help with milk supply? 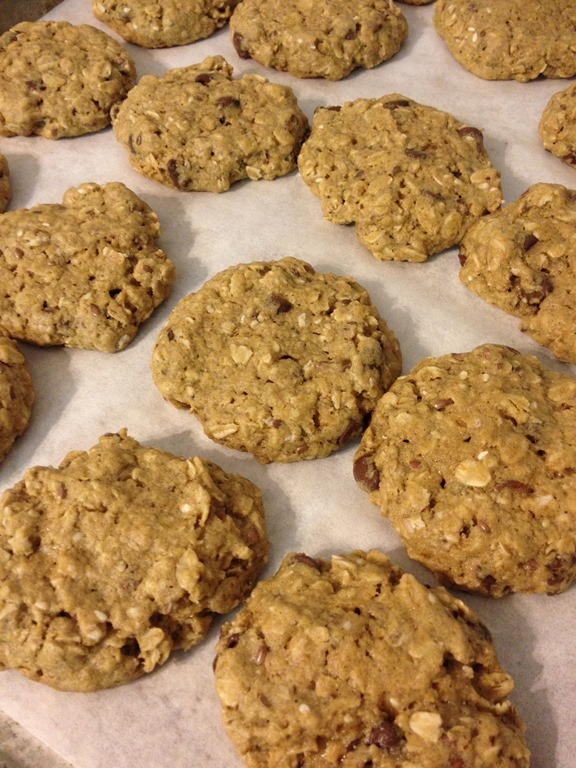 And these ingredients just so happen to make super yummy cookies, and boost your milk supply. 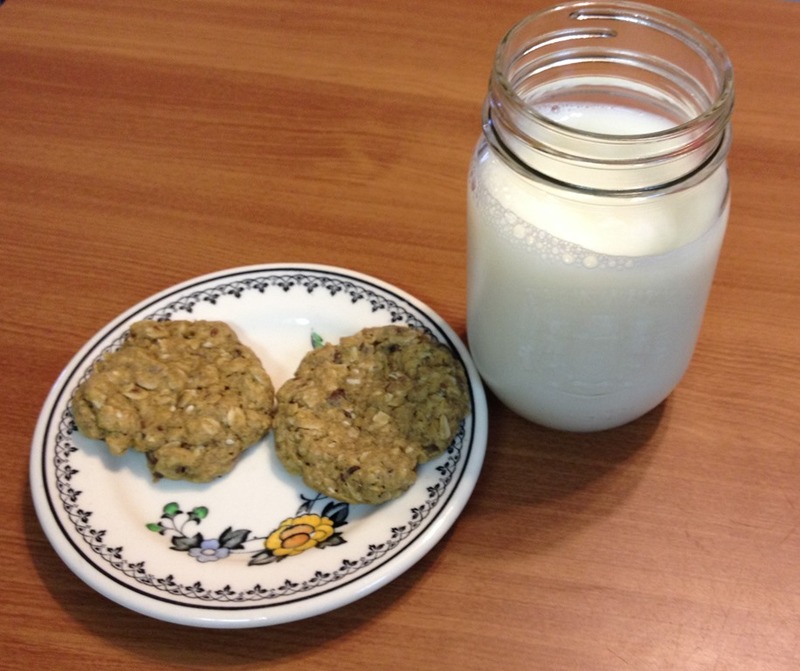 I was super excited to try Snappy Snacks lactation cookies, because I love cookies and I love finding out about awesome products by moms, for moms. It also helps that Snappy Snacks are Canadian made in Belleville, Ontario by owner and founder Bridget Burke-Purdy. I do not have supply issues, but since I have started running I have noticed a bit of a decrease in my supply so I thought it was a great time to try out these cookies. Oh my goodness, not only were the cookies easy to make they were also soft and yummy. Like the perfect oatmeal chocolate chip cookie. I started eating 2-3 cookies a day (because I run now so I totally can do that), and I could not believe how much my milk supply went up. I had finally gotten to the point that my supply was regular and I was not leaking and BAM there was milk everywhere. I was highly impressed with these cookies and their magical milk powers. I think these will be one of my go to gifts for baby showers. I mean who doesn’t want to receive cookies?? 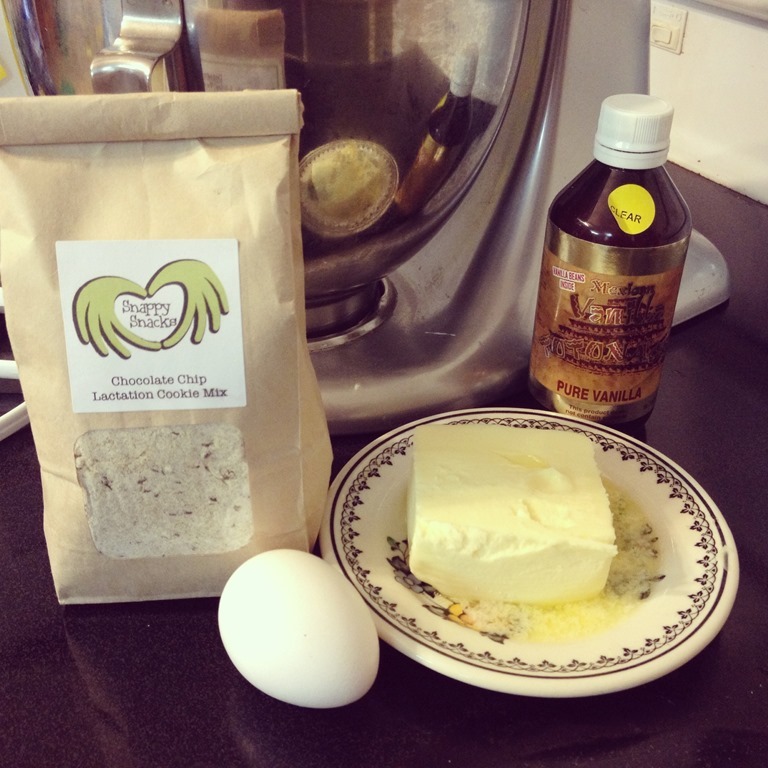 And since all of the dry ingredients are all mixed up it is really easy for a new mom to throw the mix in a bowl with the butter, egg, and vanilla and quickly make up a batch of cookies. Or you can make them up for the new mom and take them over with a magazine for her to read while nursing and munching. Snappy Snacks comes in three flavours – Chocolate chip, Raisin Spice, and Double Chocolate Brownie. You can buy online at their etsy shop, but they are currently getting into local baby boutiques which will allow customers to buy local and not have to worry about shipping costs. They also have an incentive program – anyone who recommends Snappy Snacks to their local baby boutique gets a free mix in the store’s first order. So go and tell your local stores about these cookies and you can get yourself a free bag.